Welcome to our page were glad your here. Have a look around and let us know what you think. Here you will find evidence we have collected from a number of locations we have investigated. We are paranormal investigators (ghost hunters) dedicated to the collection of evidence that helps prove the existance of spirits and life after death. Our efforts have helped people understand the things going on around them and has helped them take back their house. We want to help you to. Do you feel a presence around you when no ones there? Do you here noises that cant be explained? Have you seen shadows or do you here voices when no ones there? 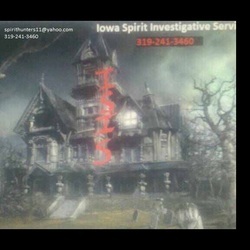 This could be evidence of a spirit in your home or business, let us help you find out.